The kids absolutely love it at Chuck E. Cheese's, there's plenty of things to do, and I am a fan of the grilled chicken sandwich, fries and, yes, a nice cold beer to wash them down. And the kids ALWAYS wolf down the pizza there. 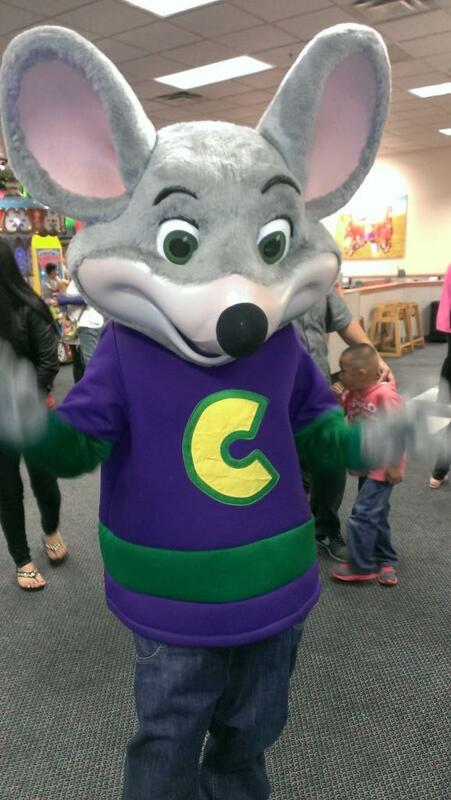 Chuck E. Cheese's is geared towards kids ages 2 to 12. Make sure to check the Sunday newspaper coupons before you go because they have coupons in there all the time. Or if you don't get the paper, just visit their website at www.chuckecheese.com, click "Coupons" and "Get a Coupon" to find discount coupons for the location of your choosing. How about a quick walkthrough of the Thousand Oaks Chuck E. Cheese's. Admittedly the video is lousy but gives you a feel for what the place is like...when not PACKED with kids! Chuck E. Cheese's is at 130 West Hillcrest Drive, Thousand Oaks (805.497.2522) www.chuckecheese.com/storedetails/ca/thousand-oaks/320 and 4714 Telephone Road in Ventura (805.644.9777) www.chuckecheese.com/storedetails/ca/ventura/453. Some footage at the Ventura Chuck E. Cheese's in November 2010. MOXI, The Wolf Museum of Exploration + Innovation, is a one-of-a-kind museum for all ages designed to ignite learning through interactive experiences in science and creativity. The museum opened its doors to the public on February 25, 2017 at 125 State Street, Santa Barbara, adjacent to the Amtrak Station. The museum's three floors are filled with 17,000 sq ft of hands-on exhibits that encourage open-ended discovery, analytical assessment, experimentation, play and just plain fun. The interactive exhibits are organized around seven themes that all relate to science, technology, engineering, arts and math. Sound Track: In this largest exhibit area on the first floor is a Giant Guitar to learn about how your favorite guitar riffs begin, a Sound Machine, the Reactable (part DJ table, part musical instrument), Foley Studios sound studios and more. Fantastic Forces Courtyard: This space is dedicated to gravity, magnetism, propulsion, centripetal force and more. Conduct test flights in our Wind Column Workshop, launch an Air Rocket and discover the power of magnetic fields on our Magnetic Islands. Speed Track: Build your own race car and send it down the race track, play the game of Mindball, prototype designs for a marble roller coaster and more. Light Track: Explore lights, colors, shadows and more. Take the ultimate selfie at Mosaic Faces. Create a bold display of colored lights at Light Patterns. Control the Color Mixing Machine that hangs above the entryway and learn more about color and light waves. Interactive Media Track: Explore a wide range of digital interactive experiences designed in partnership with area artists, educators and scientists. Sky Garden: The exhibit-filled rooftop includes Whitewater, a fully interactive water feature including a giant Archimedes screw. Create a wind-, sun- and human-powered symphony with the Weather Orchestra. Step inside the Lookout Tower to see the city through the lenses of five different observation scopes. And walk across the glass Sky Deck for a unique view of the courtyard below. MOXI is open daily, except Christmas and Thanksgiving, from 10am to 5pm. Admission is $15 for ages 13+, $12 for ages 3 to 12 and free for 2 and under. The museum encourages the purchase of timed-entry tickets in advance at www.moxi.org.